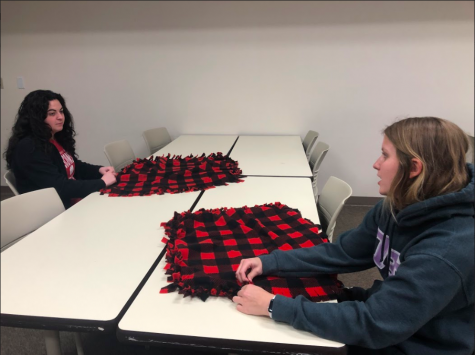 Two Simpson College students taking a psychology class got more than they bargained for when they sent out an email to the student body asking for psychology research participants. 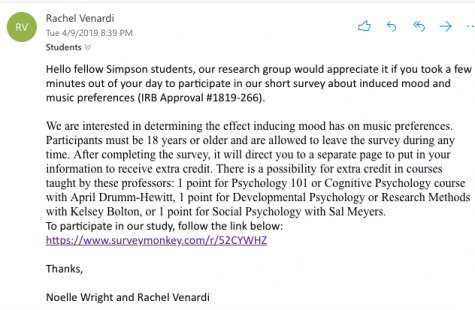 Rachel Venardi and Noelle Wright sent an email to all students Tuesday night asking them to complete an online survey about “the effect inducing mood has on music preferences,” according to their email. The initial email to the student body asking for research participants. The response? Over 100 students began responding to the email early Wednesday afternoon using the reply-all function. However, these responses had nothing to do with the psychology research or the extra credit opportunity. The first email was from Thomas Mussig, who pointed out a spelling error in the subject line of the original email. 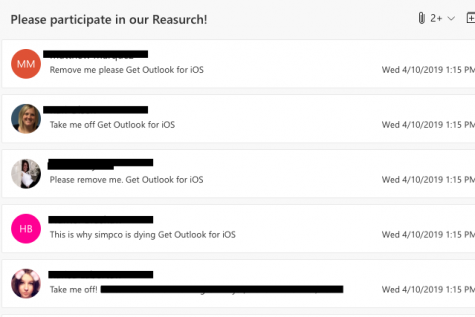 From then on, more and more students began responding to the email thread. Many of the students simply expressed annoyance at the spam responses and asked to be taken off the email list. Other responses poked fun at the incident and said they would be transferring as a result of all of the emails sent to their inboxes. 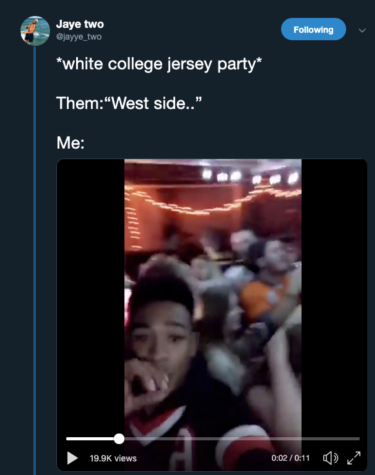 However, other students sent more serious responses to the thread and demanded that people quit responding to the thread. Junior Linda Ramseur called out the first few people who responded to the initial email and reprimanded them for being mean and disrespectful toward the psychology students. Ramseur also pointed out the fact that all those students were men and the psychology students were women and told the male students to check their privilege. “And so the first male that did it, it bothered me because I’m like, ‘You can just put reply, not reply-all.’ So I felt like he was trying to embarrass her in front of the rest of the 1,000 students on the email chain,” Ramseur said in an interview with The Simpsonian. She said Mussig’s response was inappropriate because everyone makes the occasional typo and that Clutter’s response about the Chewbacca impression was inappropriate in general. Mussig said he had noticed the typo in the subject line and decided to respond more as a way to be humorous. 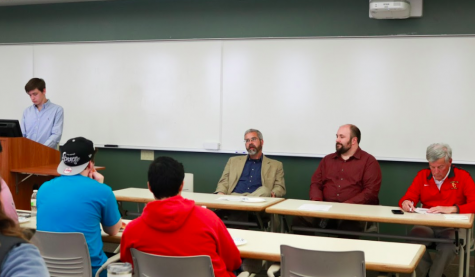 “Simpson is a relatively light-hearted campus, and my intentions with the email were to send a humorous message that was bound to make people laugh,” he said in an email to The Simpsonian. He saw Ramseur’s response to his initial comment on the email thread where she pointed out that he and the other commenters were all male, but he said he did not intend to cause offense by his comment. “With that being said, Linda’s comment did make me see things from another perspective,” Mussig said. “I had absolutely no intentions to hurt any of the initial emailer’s feelings for calling out the typo, but I sent them both a sincere apology regarding the situation and my contribution to what had happened,” he added. 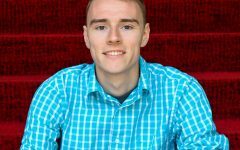 Lloyd, the 2018 graduate, said in an email to The Simpsonian, he had responded to the group email out of boredom but that he had no intention of attacking or embarrassing the students asking for research participants. He said he did find some of the other responses to the email to be entertaining, and his initial reaction to the email responses was that it appeared to be people goofing around. “If this event has caused them any issues, I sincerely apologize,” he added. The Simpsonian asked Clutter for comment regarding his response to the email thread but did not hear back. Less than an hour after the email thread took off, Director of Information Technology Service Lynne Jensen sent a campus-wide email in which she said the email group had been deleted. “That email list was not set up to be moderated, and should not have even existed. I apologize that recipients had the opportunity to reply to all and it filled many inboxes,” she added. Jensen also warned students not to reply-all if similar email incidents were to happen in the future. For students wishing to send emails to group lists, Jensen suggested they put the recipients in the BCC (blind carbon copy) line, which would prevent recipients from being able to reply-all. Jensen said in a separate email to The Simpsonian that ITS moderates and approves emails sent on a newly created email list, SCStudents.